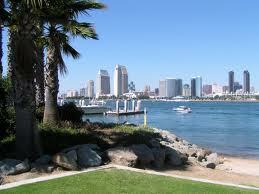 The San Diego City Council has been working on a comprehensive water policy for several years. While incremental developments have been sporadically reported in the news media, it’s easy to lose the thread, so here’s a backgrounder. In late 2010, anticipating an eventual announcement that the drought was officially over, then San Diego City Councilmember Donna Frye proposed that the city’s temporary Drought Response Level 2 restrictions on water use be made permanent, rather than be discontinued. The Level 2 rules limited landscape watering to three days per week/10 minutes per session and only during early morning or evening hours (see the Emergency Water Regulations for complete details on water use restrictions). Frye’s idea was to send residents a lifestyle message about the ongoing need to conserve water, drought or no drought, in accord with living in a semi-arid region where water storage is limited and supplies from hundreds of miles away are subject to curtailment, price increases, and/or cutoff due to disaster. For the remainder of this excellent article, please go here. San Diego’s water policy will mirror every government policy or program and it will continue the policy we have seen for the last few years. Government’s solution is to raise prices, restrict supply, and subsidize it for the poor who can’t afford government policies.